Silver coated steel frame for strength and durability. Protects your valuable technology inventment from dirt, dust, bumps or accidental spills. Cotytech CPU Holder attaches to the underneath of any desk surface or workstation, suspending CPU towers off the ground at an accessible height to save floor and desk spaces while putting disk drives at easy reach. The computer stand has a smooth sliding feature and rotates a full 360бу for quick and easy access to cables, ports and drives, providing optimum cable management and maximum accessibility to both front and back of your CPU. 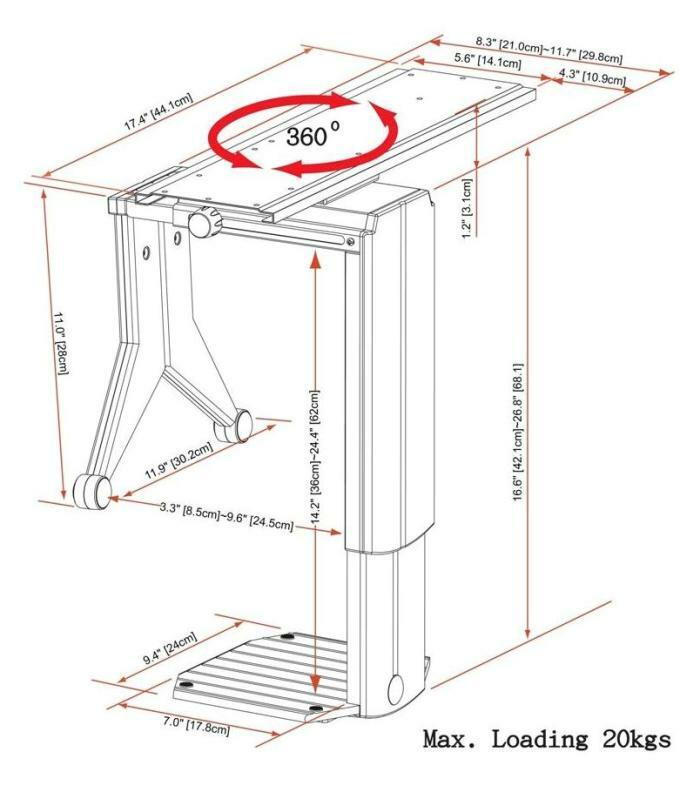 The computer holder has height adjustment range of 10.24" (260mm) and width adjustment range of 3.46" (88mm) to accommodate different sizes of computers: mini CPUs, full-size towers and everything in between. All Cotytech products offer five year warranty.